If your existing windows are costing you time, money and stress, then it is time to consider replacing them. Window replacement can enhance the beauty and elegance of your home, while also improving security and energy-efficiency, and reducing noise and draftiness. Quality Construction is pleased to feature a wide range of replacement windows such as: casement windows, double hung and single hung windows, picture windows, sliding windows, bay windows and, hopper windows. All windows include high performance insulated glass with Low E, to help save energy and make your home more comfortable. You may also qualify for local state and federal rebates or credits through window replacement click below to see what is available in your area. We offer free, no-obligation, in-home consultations. Quality Construction has a wide range of vinyl designs will save you time with no painting or scraping. Vinyl windows will save you money. Up to 30% of your energy loss can be through windows. With today’s rising energy costs, that can cost you a lot of money. Additionally, replacement windows allows you the option of a variety of different shapes, styles and designs for each room in your home. You can relax after you call Quality because we will take care of the whole process from purchase, to installation of windows, and the guarantee. We make it easy, and once your windows are done, you won’t ever have to worry about replacing them again. We also have many different financing options available!! Window replacement can enhance the beauty and elegance of your home, while also improving security and energy-efficiency, and reducing noise and draftiness. Quality Construction is pleased to feature a wide range of replacement windows such as: casement windows, double hung and single hung windows, picture windows, sliding windows, bay windows and, hopper windows. All windows include high performance insulated glass with Low E, to help save energy and make your home more comfortable. Is there a benefit to having vinyl windows versus wood or aluminum? 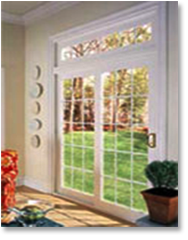 Vinyl windows provide many benefits that wood and aluminum windows do not. Vinyl is a durable material, which means less maintenance and longer lasting beauty. When installed, vinyl windows do not require painting.